HBOThat serving girl isn’t who she appears. 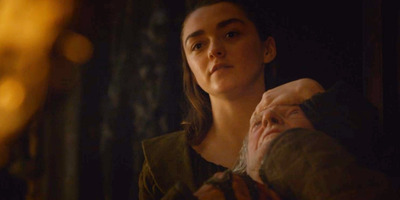 Using the face of a serving girl, presumably from the Hall of Faces, Arya arrived at the Twins and exacted her revenge against the Freys by murdering two of Walder Frey’s sons, baking them into a pie, and serving it to him. She revealed herself as a Stark before slitting his throat, but even before she unmasked herself, she slipped up a bit. 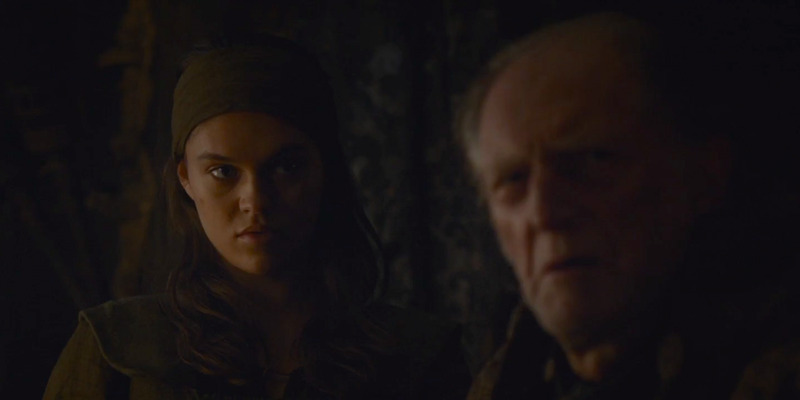 As Arya delivered the pie to Walder Frey, she referred to him as “my lord,” which is how highborn people address each other. If she was a true commoner, she would have said “m’lord.” This is a lesson Tywin Lannister tried to teach her back in season two. HBOThe look of sweet revenge. She didn’t quite remember that this time, but it didn’t affect her avenging her family. Though, it wouldn’t be a bad idea to heed Tywin’s lesson in the future, just in case.